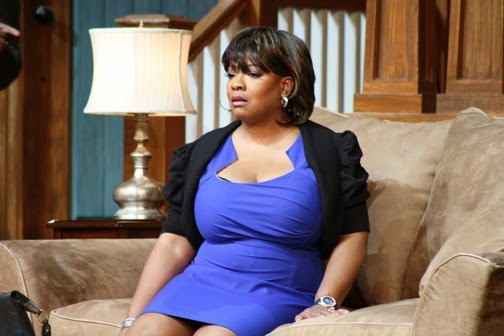 Singer and actress Cheryl Pepsii Riley moves the viewers with her amazing performance in Tyler Perry’s play Hell Hath No Fury Like a Woman Scorned. Riley plays the character Anita Lincoln, a modern day single and successful woman who goes through her ups and downs in relationships, starring alongside Patrice Lovely, Muhammed Ayers, Monica Blaire and Zebulon Ellis. In the play Lincoln is introduced to online dating by her friend Jasmine. Her life begins to take a turn and go downhill as she encounters some unfriendly situations in her new marriage. Eventually, she becomes determined to take her life back. I had the pleasure to interview the amazing and phenomenal woman we know as Cheryl Pepsii Riley, regarding her role in the play Hell Hath No Fury Like a Woman Scorned that is now available on DVD (plus Digital), Digital HD and Video, along with her latest happenings. Here is what she had to share with the readers regarding the play and much more. 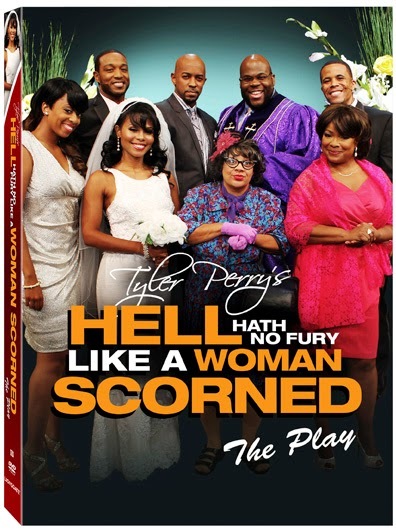 Tocarra Eldridge: You play the character Anita Lincoln in Tyler Perry's play Hell Hath No Fury Like a Woman Scorned. What was it like playing that role in the film? 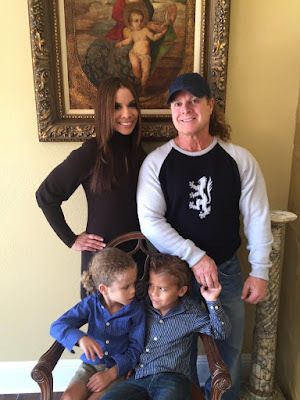 Cheryl Pepsii Riley: It was wonderful. It was a play that was initially just supposed to go straight to DVD last year. Whenever we did the performances, Tyler thought it would be a great show to tour, so we toured from January thru October. It was awesome to play the role, because I got a chance to step into the lead role. I’ve been working with Tyler for over 10 years now, so this was like a great step for me to take the lead. It’s been really really great! The response has been phenomenal. Tyler is really good at keeping current and doing these shows with relative messages that people can relate to. It centers around this woman who has had her ups and downs in relationships and her friend sets her up on this online dating thing. In this day and age a lot of people are venturing into the online dating realm. For a lot of people it has worked out. In this instance, for Anita Lincoln, it did not! [Laugh] It takes you through the ride that she goes through. There are some lessons in there as well. Tocarra: In the play you meet a man online who treats you like a queen, and then the relationship turns bad when you get married. What’s your personal thoughts regarding online relationships? Cheryl: I’m a Brooklynite, so we don’t trust most. I don’t know that the online dating thing would be the way to go for Cheryl; my Brooklyn is gonna always have me looking side-eyed. [Laugh] I also have this theory in general; when you meet people you are meeting the representative, and then the real person comes out. That being said, I know people who have had success with it. Tocarra: How do you identify with the role that you played? Cheryl: It starts from a place of her having these relationships that have not been successful. I think, myself, as well as anybody else have all had relationships that have not gone the way you wanted. It shows what she learned; many instances she was basing her choices from a place of desperation and not trusting God to just give her what she needed at the right time. I connect to that because I have been in that place. We’ve all been young and made choices that we look back at and say ‘had I known what I know now, that would have never happened’. With that being said, it’s what makes you the woman that you are. Those things in the past are not necessarily mistakes as much as they are just building blocks to grow you into that woman that you want to be. 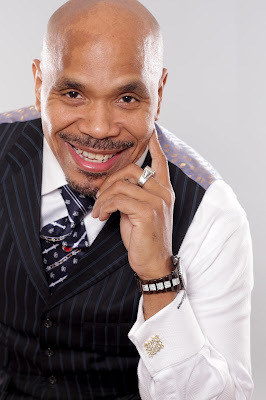 Tocarra: What has it been like working with Tyler Perry and the cast of this film? Cheryl: It’s been awesome working with Tyler. It’s been a blessing, as well as motivating and inspiring. The first show I did with Tyler was Madea’s Class Reunion. At that point there was not TV shows or movies. We were just on stage grinding it out. To be standing there by his side and watch his hussle and his grind and how hard he worked, it’s absolutely motivating! I came out with my record ‘Thanks for My Child’ in 1988, and to fast forward several years and still be inspired is a wonderful thing. With this cast he opted to use new people. He’s always trying to give people a shot. That’s been really great because they came hungry, they came with a passion for what they do, and were ready and willing to learn and do more. To be able to share my experiences with these new babies who are coming up, it’s like passing the baton. It’s been an incredible experience. Tocarra: You are an accomplished singer and actress, how do you balance the two? Cheryl: It’s kind of the best of both worlds. I look forward to doing shows where I’m just doing the acting, whether that be television or film…I know it’s coming in my immediate future. I worked with handicapped children for 10 years before I got a record deal. Even then when I was working in the hospitals and in the schools with the children, I was still doing music in New York and doing community theatre. Being able to do this as my profession has been an absolute blessing. Everybody doesn’t get to go to work and say they love what they do. So, you find the balance because this is what we asked for. I appreciate it, because I know it doesn’t have to be there. You balance it because you realize it’s a chance of a lifetime. Tocarra: In regards to female integrity and characteristics now-a-days, from your perspective, how has the industry change since you began your career? Cheryl: I would say I think it’s always been a little more difficult for women in the industry. What I have seen changed is some of the approaches that some women felt they needed to take, whether that be in reality TV or so. Those are the things that I pray about and that I watch and I hope that at some point people are getting what they really want or at least learning the lessons of what they don’t want. I think sometimes people confuse fame with success. My prayer and my hope is that people learn from their mistakes and come out shining in the end. Tocarra: Can your fans and listeners expect any new music from you in the future? Cheryl: Yes. I’m actually finishing up a project right now that I’m looking to release; I’m mixing and mastering now. I’m really proud of this music. It’s a work in progress right now. My family, as I call everyone because we support each other, can definitely look out for new music. Cheryl: I appreciate and am so grateful for the people who do follow me, and who have supported my career! To still be here and to still be able to do something I love is an absolute blessing. Also, I am working on this thing I do in New York at the Village Underground called Black Velvet Mondays. It’s my way of paying it forward to the up and coming artist or the artist that had to take a seat and raise their families. We give you the opportunity to really find your voice. I share information and those jewels of knowledge that you don’t get from reading a book. We are taking it around the country, around the world. We recently did a version of the Black Velvet Experience in Paris. So definitely, everyone should look out for that as well.